Wing Chun really is an amazing martial art. There are many different families of Wing Chun. A long time ago my Sifu said to me that lot’s of Wing Chun schools got it wrong. They focus to heavily on the external side of the martial art. He was not talking about Wing Chun lineages. He wasn’t talking about anyone in particular he was just saying in general. To be honest with you I didn’t believe him. I simply thought he was running a business and didn’t want me to stray from his teachings. Over the next 20 years in my travels I visited different schools and played with many different people. From different skill levels to even different styles of martial arts. The same story occurred over and over again. I would end up playing someone who was very external , very strong and not really able to bend and blend or like my Sifu likes to say B.A.B.E ( Bend And Blend Energy). Many times the problem was they simply were not projecting their energy correctly. A common mistake is rather than sending the energy from the shoulders to the the elbow then the wrist. Their wasn’t any energy projection at all. I found this to be true from the East coast to the West Coast. Part of me didn’t want to believe my Sifu. He himself told me there were others who trained the internal side of martial arts. After all he didn’t learn it all on his own. He had his own teachers. After some years I realized that he wasn’t just saying people didn’t understand the internal aspect of Wing Chun to keep me as a student. He was simply speaking truth from his own personal experience. Which I discovered the same thing on my own journey. Wing Chun is broken because we have turned into a fast food society. What I mean by this is if we want something we want it now and fast. Patience hardly exist anymore. To make matters worse, the economy forces us to hurry up and start making money to live and support ourselves. This creates a situation where people aren’t looking to really refine their skills, they are looking for that piece of paper that in the eyes of the public legitimizes what they do. They take pictures with their masters, they hang their certifications on their walls. When martial arts first started, it wasn’t about paper on the wall or pictures with the master. It was about a personal journey. People trained for survival. Not ego and pride and money. I have been training in martial arts since I was born. (Seriously, my dad was a fanatic about martial arts)! I am 39 years old. Even today I don’t have 1 certification on my wall. I don’t have a black belt in anything. I have been in real fights in my life, I’ve trained as realistic as humanly possible throughout the years. I have put skin in the game. Though I never competed. I joke with my friends. Now that I have a high level of skill I lost interest in fighting. 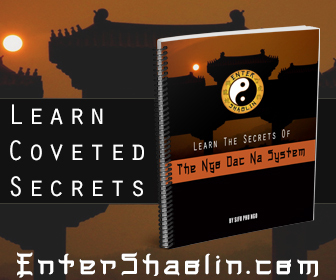 What it really takes to fix Wing Chun is people need to drop their Ego’s and Pride. People need to focus on what is good and not what is bad. Even with all the friendly gestures at the heart of Wing Chun there is still a lot of ego bashing and boasting. 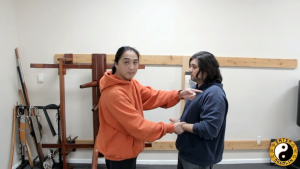 It doesn’t matter what your lineage of Wing Chun is. My advice to you is this. Focus on the fundamentals and basics of what you are doing. Be consistent in your training. Believe in what you are doing. In the back of your mind realize that when you are 80 years old you will not be able to fight like a 20 year old. Knowing this one truth. That time stops for no man. That as we get older we get weaker means that NOW is the time for you to start understanding the internal aspect of martial arts. Not tomorrow, not next week, NOW…. It doesn’t matter what your Wing Chun looks like. What matters is how YOU feel energy and how YOU use energy. Unlocking this mystery and you will unlock all the martial arts. In the end Bruce Lee was absolutely correct. There is only 1 way, unless you come across a person with 3 arms and 3 legs we are all the same. Maybe there are different roads that take you to the “way”. But all roads will eventually lead to the same place. I want to share with you a short clip from our website EnterShaolin.com. 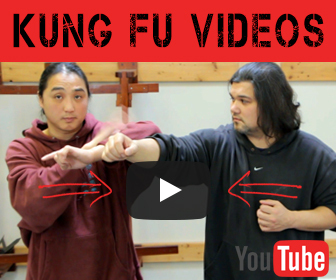 In it you will see the first movement of Wing Chun’s Sil Lum Tao. In it you will see 1 correction. Something that is often times over looked. You yourself may not even realize it. That is proper energy projection in your form. Again I want to stress that it doesn’t matter what your Wing Chun family lineage is. All that we are demonstrating is how the “energy” needs to move and feel within the movement. What it looks like doesn’t matter, how it feels does. Remember one thing about Wing Chun. It was meant for someone who was smaller and weaker to handle someone who was bigger and stronger. Another way of saying it is. 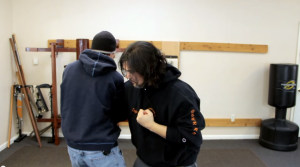 If you are struggling and forcing to make your wing chun work then you are doing it wrong. Always be honest with yourself.